Do you have fire protection barriers that require maintenance? The FireTechnics group of companies is ready to offer its customers, in addition to high-quality fire-fighting products (curtains, gates) and rolling gates without the fire protection of their own production, services for service in a clearly agreed time and quality result. Modern systems for blocking openings, whether fireproof or flame retardant, are a complex mechanism that requires regular attention and maintenance, while the maintenance and repair procedures are quite complex and labor intensive, so they are only to be trusted by professional specialists. The specialists of our company, who have the necessary qualifications and experience since 2002, are ready to perform the full range of services for carrying out any kind of service – from routine preventive measures to complex repairs and re-equipment. 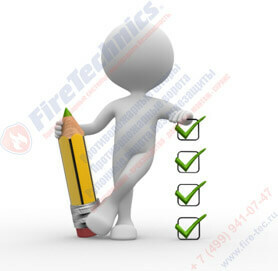 Maintenance of fire protection systems should be organized at each facility from the moment of commissioning. Service maintenance is carried out to maintain fire fighting systems in an efficient and serviceable condition for the entire service life, as well as ensuring their operation in the event of a fire in order to save lives and property. The ticket system serves to communicate with the Support Service and the Sales Department via a secure, secure channel. On your tickets are an average of 37 minutes. The average response time for the last hour is 19 minutes. After you ask a question, you will be automatically sent registration information for authorization on the site. In your personal account will save all the requests that you have generated. Any technique needs care and timely maintenance. Careful use, excellent knowledge of the performance characteristics of the equipment and compliance with its application standards – all this, of course, helps to prolong the period of operation, but to guarantee its permanent operation, and 100% exclusion of unforeseen breakdowns is only possible by timely servicing conducted by specialists. And if it is a question of maintenance of fire fighting equipment, only its timely execution is able to guarantee the maintenance of fire-protecting structures in an efficient condition and 100% response in the event of a fire. Our company has been present on the domestic market for providing effective fire safety for many years. We not only produce high-quality fire protection barriers of various degrees of fire resistance and designation, but also carry out their qualified installation throughout the country (having the appropriate qualification and license from the Ministry for Emergency Situations to install such structures). The qualitative installation of fire fighting systems is an important factor in their productive work. Our experienced and highly qualified specialists improve their skills every day in the field of installation of fire and smoke protection structures. That’s why we can give a long-term quality guarantee to our fire safety systems, and in addition offer services for maintenance, repair of fire-fighting structures and maintenance of gates with and without fire protection. Have all the necessary permits, certificates, licenses and experience for the provision of service. When creating a highly effective fire protection there can be no insignificant details. Our specialists know about this not by hearsay, they are engaged in the production, installation and maintenance of protective systems. Service is called a set of measures that are aimed at maintaining the parameters of the functioning of equipment at a given level, and constant monitoring of serviceability. 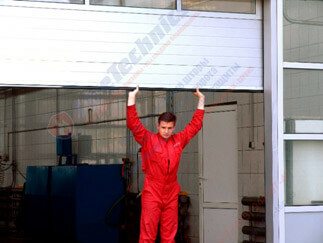 Service maintenance of the gates with and without fire protection, as well as protecting from the fire and smoke curtains provides for periodic work aimed at checking their performance, various preventive operations in accordance with established regulations, as well as eliminating the smallest malfunctions. Modern overlapping various openings of the system, with or without fire protection, are always complex mechanisms that require regular attention and professional approach. Procedures in the service and repair are quite complex and time consuming, and therefore they can be trusted only by professionals. Working in the fire safety equipment market since 2002, we are ready to take on the whole range of services within the framework of service maintenance – from prevention to the conversion of the created systems. Why is it necessary to repair and maintain the gate, as well as fire protection systems? 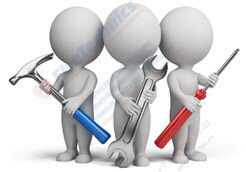 Service allows you to extend the life of the products. Ideally, maintenance of fire fighting systems should be carried out literally at every facility where they are installed, from the time they are put into operation. As a result, they will be maintained in an uninterrupted and fully operational state during the entire claimed period of operation, and also, as a clock, triggered in the event of an outbreak in order to save material values and people’s lives. Street gates are an important element, both in production and in local areas. And their complete or partial failure can deliver not just inconveniences, but also monetary losses, if, for example, because of this, the process of loading goods stops or the cars will be blocked, the room will be cooled, etc. The required repair of the garage doors and the inability to comfortably use them also cause a lot of trouble, albeit not so critical. In order to avoid such unpleasant situations, it is necessary to conclude a contract for the maintenance and repair of the gate with Fire Technics company in advance. Maintenance and repair work on fireproof gates. For any type of gate and their automation to last as long as possible, they need service at least twice a year. Refusing to regularly diagnose, remember that overhaul repair of automatic gates will cost you several times more than preventive inspection and elimination of minor defects. Do this work not professionals who have no knowledge, no experience, no specialized equipment is absolutely impossible. 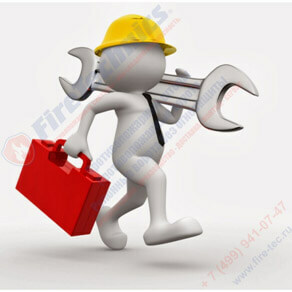 In the staff of our professional service department there are experienced engineers specializing in repairing gates in Moscow and other cities, as well as a number of other specialists to eliminate problems with fire fighting equipment and structures without fire protection. At any time convenient to you, you can call or leave an online application to the manager of our service department, after which you are guaranteed fast and high-quality assistance of our specialists. Important point: service maintenance and repair of sliding gates (or other structures) during the warranty period is free of charge. As soon as the warranty period has expired, at the request of the customer, a contract for regular maintenance for a period of at least a year may be concluded. If you have any questions, call, the customer service function daily, without days off and holidays. We leave at the request of our customers for the maintenance of automatic gates and fire-fighting structures within 24 hours from the moment of their submission!